Exoplanets are those planets outside our solar system. 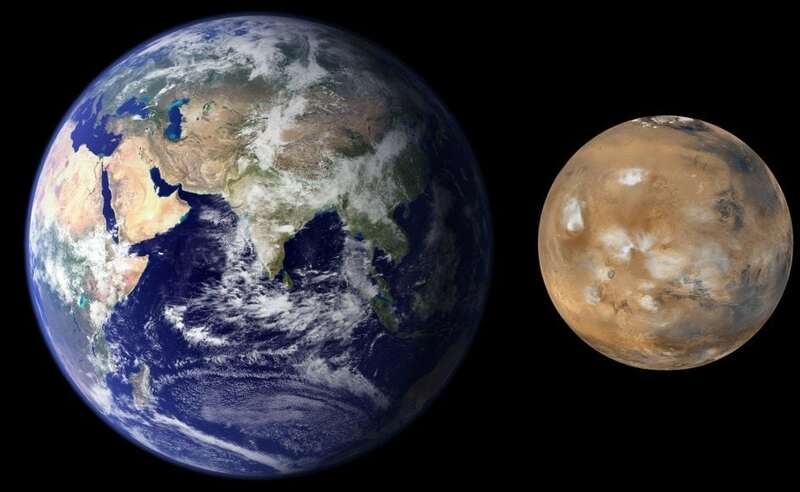 We are interested in finding Earth version 2.0 and in our work, we have extended to find Mars 2.0 as well. Presently more than 3500 exoplanets are discovered and huge space data is maintained by Planetary Habitable Laboratory- Exoplanet Catalog (PHL-EC). Presently there is no actual way to detect the surface temperature of exoplanets and in our research, we have published a calibration technique to estimate it. The mathematical formulation for both ESI and MSI was done on the basis of a work started from Bloom in Ecology system (1981). Even though this connection was done to few samples of Exoplanets by Schulze-Makuch et al. 2011 to find ESI previously. In this work, we carried out extensive research on the formulation by re-deriving (basically showed the actual connection in the derivation) the result of similarity index and calculated ESI for 3500 exoplanets and came out with a brand new relation for Mars as MSI. Earth Similarity Index (ESI) is a geometrical mean of four physical parameters namely: radius, density, escape velocity, and surface temperature, with range 0 (dissimilar to Earth) to 1 (similar to Earth). Ex: Mars has global ESI value equal to 0.73 (i.e. 73% similar to Earth). Using this metric tool we have calculated the ESI of all the confirmed exoplanets and graphically represented below. The surface temperature is calibrated from the known solar system data of rocky objects with atmosphere with respect to equilibrium temperature. The graphical formulation is done based on the above hypothesis. Mars Similarity index (MSI) is a geometrical mean of four physical parameters namely: radius, density, escape velocity, and surface temperature, with range 0 (dissimilar to Mars) to 1 (similar to Mars). Ex: Earth has global MSI value equal to 0.68 (i.e. 68% similar to Mars). Using this metric tool we have calculated the MSI of confirmed exoplanets and graphically represented below. The reason we are interested in Mars-like planets is to search extremophile life form and the presence of methane found by curiosity rover backs our research. This study, Indexing of exoplanets in search for potential habitability: application to Mars-like worlds, was recently published in the journal Astrophysics and Space Science.